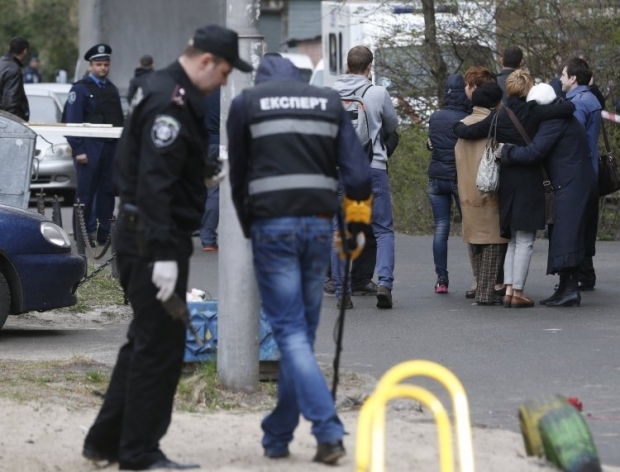 The murder of former Member of Parliament from Ukraine's Party of Regions Oleh Kalashnikov and pro-Russian journalist Oles Buzyna could have been arranged by special services of the Russian Federation to discredit Ukraine before a summit with the EU. It could be also used as the accusation of alleged political terror in Ukraine. Head of the Center for Applied Political Studies "Penta" Volodymyr Fesenko expressed such an opinion in an interview with UNIAN. "These killings [Kalashnikov and Buzyna] have got something in common: they've been referred to by Russian President Vladimir Putin during his press conference [shortly after they had happened]. The murders happened right before Putin's call-in show and were used to prove the thesis of alleged political terror in Ukraine," the expert said. Fesenko says that the killed persons in fact had no great weight in the current opposition, in the [opposition] protest movement, but they were pro-Russian figures and even infamous ones. "Therefore, there is a suspicion that Kalashnikov and Buzyna became ritual sacrifice on the altar of Russian propaganda to allegedly confirm the accusation of political terror in Ukraine," he said. "Putin had to refer to certain, available proof during his press conference. Of course, this is only a suspicion, but the concourse of these circumstances gives grounds for such conclusions," he said. "It's all done for the Russian audience, but also with the aim to scare Europe, as there will be an EU-Ukraine summit [on April 27], the EU leaders are to arrive here, and such explicitly committed murders is the way to discredit Ukraine. All these deaths match well a certain masterminded plan, certain strategy that can be implemented by the Russian special services," Fesenko said.